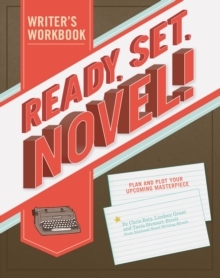 This writer's-block busting workbook guides authors through the process of planning and plotting their novel before writing it, from the initial idea generation and brainstorming through character, setting, and story development. Full of helpful lists, plot maps, character Q&As, field trips, writing exercises, inspiring quotes, and much more, "Ready, Set, Novel!" provides ample inspiration and guidance for first-time novelists and more seasoned scribes alike.